Race City Roofing offers high-quality roof replacement & repair services in Charlotte, NC and surrounding areas! Roof Replacement – Is your roof getting old and worn out? Did a storm blow through and rip off some shingles, or cause a tree or other large object to fall on your house? Do you have hail damage or damage from a lightning strike ? 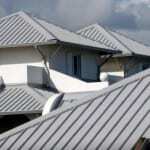 If you are in need of a roof replacement in Charlotte, North Carolina, Race City Roofing is the company to call. At Race City Roofing, roofing replacements are our specialty! 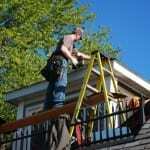 We even offer 24-hour emergency roof replacement service in the Charlotte area and a lifetime labor warranty. We can replace any roof on any building, including residential roofs, church roofs, commercial roofs and even industrial roofs. We can also work with a wide variety of high-quality roofing materials to get the roof replacement job done right every time. Whether you want your roof covered with asphalt shingles, rubber, metal, or another roofing material, we’ll do a quality roof replacement for a great price. From flat roof replacement to complex roof replacement, we’ve got you covered. Contact us today for a free roof replacement estimate in Charlotte, North Carolina. Race City Roofing is the #1 roofing contractor in the Charlotte, NC area. We offer a wide variety of professional & affordable roofing services including, “Roof Replacement” for Charlotte, Gastonia, Mooresville, Hickory, Cornelius, Huntersville, Denver, Troutman, Statesville and Lake Norman.